Agents with the Federal Bureau of Investigation raided a Logan home Wednesday afternoon on suspicion that the resident was mailing poisonous letters. 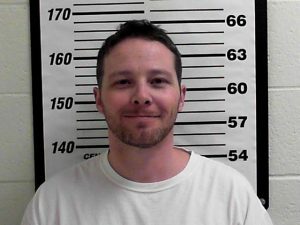 William Clyde Allen III was taken into custody and is believed to have mailed envelopes filled with ricin to the Pentagon, President Donald Trump and others. FBI Special Agent Doug Davis confirmed the raid was a joint operation with local law enforcement on the home at 380 North 200 West. Because of the potentially hazardous chemicals involved, he said agents cordoned off the neighborhood and are asking the public to stay away from the location during the operation. The blocked off area along 200 West, from 300 North to 400 North, was a precautionary measure. Davis said agents do not believe there is a wider threat to public safety at this time. FBI agents took Allen into custody without incident. The 39-year-old was questioned by agents and later arrested. Charges are pending in Federal Court. Booking photo for William Clyde Allen III from the Davis County Jail. Logan City Police Capt. Tyson Budge said officers have had previous involvements with Allen. He also was investigated for sending suspicious letters to the governor and Air Force. Ricin is a highly toxic protein obtained from the pressed seeds of the castor-oil plant. If made into a partially purified material or refined, it can cause death under certain circumstances. The Associated Press reports that authorities had been investigating two envelopes allegedly containing a suspected poison that were addressed to top military chiefs and a third with unknown contents sent to President Trump. Tuesday evening, the Secret Service released a statement confirming that a suspicious envelope had been sent to the president on Monday, but was not received at the White House, nor did it ever enter the White House. The agency did not disclose any details about what was in the envelope or where it was received. Authorities at a Pentagon mail screening facility were investigating two envelopes suspected of containing a poison, ricin, made from castor beans. Those letters were addressed to Defense Secretary Jim Mattis, who is traveling in Europe this week, and the Navy’s top officer, Adm. John Richardson, a defense official said. They were turned over to the FBI for further analysis. The official spoke on condition of anonymity because the official wasn’t authorized to speak publicly ahead of FBI release of its findings. 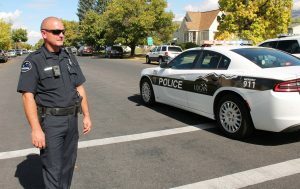 Logan Police Officer Robert Olson secures Second East between Third and Fourth North while the FBI executed a search warrant today. Why isn’t the suspect named?? Logan man was NOT arrested, just taken into custody for questioning. BIG difference. That is probably why his name has not been released. Are you both blind? His names listed in the 1st paragraph….